The stock market is comprised of stocks, markets, and indices. “Stocks” are the shares of a company for sale on the market, and the “market” is the location in which stock trade exists. Stock market indices are daily calculations provided by stock markets. The indices track and report the increase and decrease of a collection of stocks and provide a broad look at the health of the entire market. Each index measures different types of stocks and often measures stock weight, or value, differently. This leads to differing overall stock market values on the same day, such as “the NASDAQ was up 3 points today” versus “the Dow was up 4.5 point today”. The stock market is a global market, so there are many indices available. The most popular indices are the Dow Jones Industrial Average (DJIA or the Dow), the Standard and Poor 500 (S&P 500), and the NASDAQ Composite Index. There are numerous other indices in the nation and in the world, but we will focus on these three to start. The Dow reports the daily activity of thirty of the most influential US-owned companies. The Dow is a good measure of the largest companies in the United States, but its overall measurement of the entire stock market does not consider how well smaller companies are faring. The Dow is commonly used because it's been around so long, but it looks at such a small subsection of the markets that it's often considered a less relevant indicator than the other indices. The S&P 500 lists a sampling of 500 large companies that the index feels best indicate the overall growth of the stock market. The S&P 500 better represents the health of the entire stock market than the Dow, but the weight of the top 50 companies in the index can overshadow the value of smaller companies and present a skewed measure of the entire market. 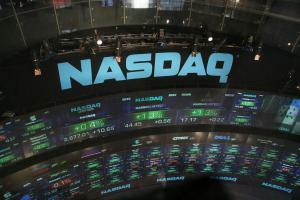 The NASDAQ Composite offers information on 3,000 worldwide companies. Because of the emphasis on technology companies in the NASDAQ market, the composite index gives insight with a focus on technology companies and growth companies. As a measurement of the entire market, the NASDAQ Composite may not best represent a sampling of other kinds of companies. The most common use of stock market indices is to get a broad picture of certain sectors of the financial world. The Dow lets me know how "blue chip" stocks are doing, while the NASDAQ helps me know the general outlook of technology and start-up companies. They're often used as well as a way to get a great deal of diversification all at once by buying into index funds, where you can get fractional ownership of all the stocks in the index at once. This way your investment will have almost exactly the same return as the given index. Investing in stocks doesn’t have to be confusing. Instead, if armed with information, you can invest wisely and lucratively. Watching the stock market indices can be one of the quickest ways to get an idea of what the best decisions are. Nice post Christa! If you'd like to invest based on these indices, you can use DIA for Dow, SPY for the S&P 500 and ONEQ for the NASDAQ. Of course, these are simply my favorite ETFs, there are others that track these indices as well. That's good for the US. How about Global index and emerging market index? Everyone need to diversify even more these days. MoneyCone, thanks for the info on your fave EFTs -- definitely worth checking out! Retirebyforty, great point! MomVesting focused on three indices for this post as an introduction, but your global diversification focus is a great idea for a future post -- we will definitely look into it. Hi Christa --- nice primer on indices. I just came across your blog recently and will be checking back often! Hi Kevin -- thanks for the compliment. I checked out your December 13th post, and you offer some awesome financial details in easy-to-read format -- will definitely follow your posts as well!